Staff of CAN have been enjoying spending time away from their desks learning some useful ideas for delicious and healthy meals. 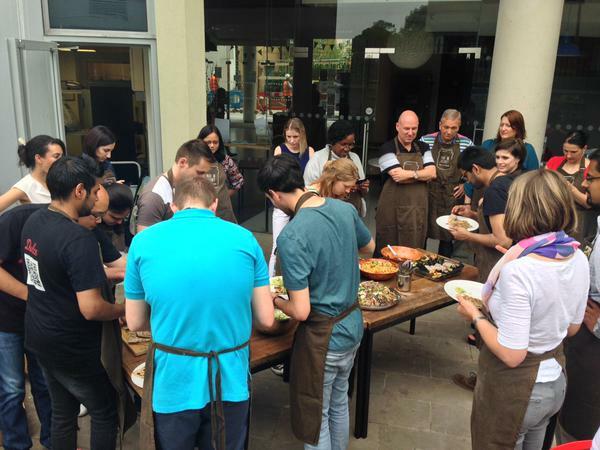 In May this year 30 staff from CAN joined us for their annual Team Building Day on the theme of 'A Taste of Asia'. The event was held in the beautiful surroundings of The Redmond Centre and incorporated plenty of time for internal strategy meetings in the morning, followed by a delicious, seasonal, organic lunch to fuel the bellies ready for the afternoon's cookery session. The session was led by Jayne Totty, a chef and nutritional therapist who got staff to work in small groups and try their hand at making different recipes which included Nori Hand & Summer rolls with dipping sauce, Courgetti with Asian pesto, Firecracker rice, Asian noodles and Stir Fry. Handouts with nutritional information were provided for participants to take home and share with friends and family. By popular demand we were invited back in October to cater for a networking lunch for CAN customers at CAN Mezzanine as part of #Social Saturday. A day held every year to celebrate the achievements of social enterprises across the country and to encourage businesses to ‘buy social’. On the menu this time was Middle Eastern Squash Tart, Bulgur and Wild Rice Salad with an orange Asian Dressing, Spiced Indian Potato and Chick Pea salad with Tamarind Sauce, Wholewheat Fennel, Focaccia, Pea and Mint Hummus & Black Bean Hummus and Energy Balls. Yum! Made in Hackney has also delivered team building days for Informa, Hackney Public Health, Greenpeace Salesforce Foundation and I2C. 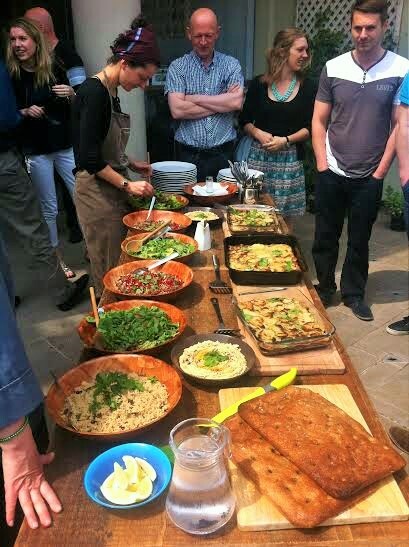 If you would like to arrange a Team Building Cookery Day with us Click Here for further details.